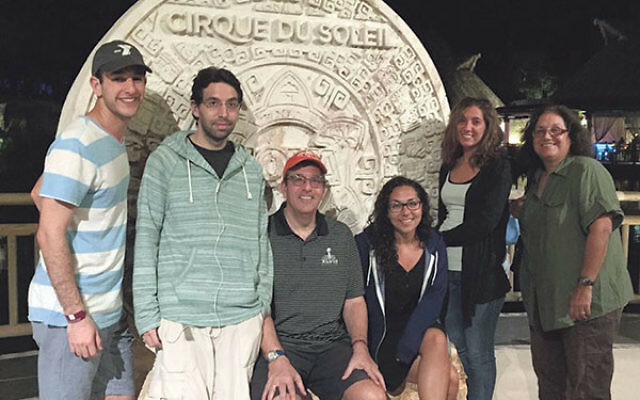 Eric Levenson, second from left, on a vacation with his family in Mexico in 2015; from left, his brother-in-law, David Mirsky; father, Mark; sisters Jessica Levenson Mirsky and Hadassah; and mother, Eta. When Eric Levenson turned 14, his parents, Mark and Eta Levenson of West Orange, began noticing his mental problems. In February 2016, Eric took his own life at the age of 28. He was one of the 117 Americans who commit suicide every day; suicide is the fourth leading cause of death for adults between the ages of 15 and 64 years in the United States. Eta also runs a confidential support group for Jewish parents of the mentally ill. “Parents need this to be able to figure out how to help their children and to get help for themselves,” she said. “My goal is to make the Jewish community aware that suicide is a problem in the Jewish community, as it is everywhere else,” she said. One group helping the Levensons and thousands of others is the American Foundation for Suicide Prevention. It is sponsoring an “Out of the Darkness Walk” on Sunday, Sept. 18, at noon in the football stadium of Braddock Park in North Bergen. “We are inviting people to come and join us in this very easy walk and meet our family and our participants, as well as other families who have been affected by suicide,” Eta said. 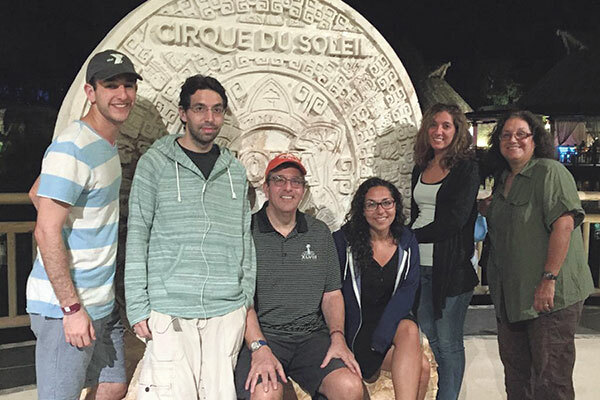 The AFSP holds support groups in all 50 states for friends and family members they call “survivors of suicide.” It has two chapters in New Jersey — one in Freehold and one in Saddle Brook. One of its main goals is to destigmatize suicide. Treating Eric’s ongoing depression was a 14-year challenge for the Levensons. He failed to respond to psychiatric care and medications for depression. “There were periods of more calmness and more satisfaction with life. I wouldn’t say he was ever happy except for brief moments,” said Eta. Despite strong obstacles, Eric graduated from a high school for students with emotional disabilities “where he really shined,” said his mother. He went on to Muhlenberg College in Allentown, Pa. and graduated in five years with a degree in psychology and music. “He had a car accident and needed to take a year off because he was in a wheelchair, then a walker, and Muhlenberg did their best to accommodate him It is a small college which gave people individual attention, and they went out of the way for him,” she said. After graduation Eric stayed in Allentown, where he worked as a counselor for young people with developmental disabilities until a year before his death. During that time, Eta was assistant director of Yachad, a program for people with developmental disabilities. Then he had a second car accident in which he suffered a traumatic brain injury. After spending a week in a coma and a week in traumatic care, he was treated at the Kessler Institute for Rehabilitation in West Orange. Seven months later, the Levensons are committed to suicide prevention and helping others cope with suicide by telling the story of their son.